BANGKOK: The State Railway of Thailand (SRT) aims to open services for the 193-kilometre long Bangkok-Rayong high-speed Thai-Japanese railway by 2023, with ticket prices starting at 20 baht and adding 1.80 baht per kilometre. 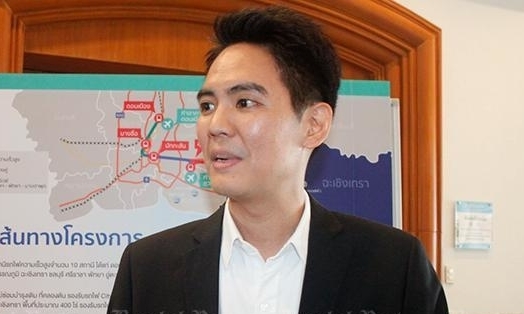 The railway project, valued at 215 billion baht, is part of a plan to establish links across the Eastern Economic Corridor (EEC), initially by connecting Don Mueang airport in Bangkok, Suvarnabhumi airport in Samut Prakan and U-tapao airport in Rayong. The high-speed trains are set to run at 250km per hour on 1.4-metre standard gauge railways, said Chulathep Chittasombat, director of the centre that oversees railway maintenance projects under the SRT. "This Thai-Japanese railway project will help increase commuting options for people, upgrade their quality of life and promote tourism in the region," he said. The high-speed trains are set to run at 250km per hour on 1.4-metre standard gauge railways. The SRT recently conducted public hearings in Chachoengsao to gauge local opinion on the project, which will pass through the province upon completion. Public concern at the hearing included whether locals would still be able to access the route, due to its pricing. Mr Chulathep said a City Line running along the same route will be offered at a different price, stopping between cities along the way. Ticket prices for the City Line will cost 13 baht with add-ons of 2 baht per km. According to Mr Chulathep, the City Line trains will travel at 160km per hour. In addition to the high-speed rail services and City Line trains stopping between cities, another City Line route taking passengers from Don Mueang to Suvarnabhumi will also operate on the railways, Mr Chulathep said.